HEAT… With the warm temperatures upon us, just a reminder to please send your student(s) with a water bottle they can drink from and refill throughout the day. 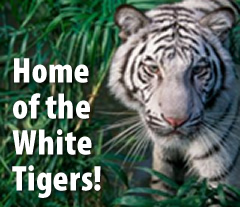 THE WELCH WAY… On Friday, all White Tigers rotated through different areas of the building to learn and review our building wide behavior expectations - Respect Self, Others, and Property. From the lunchroom, to the hallways, LMC, playground, hallways, and even washrooms, our White Tigers did an outstanding job listening, learning, and modeling these expectations! There were a TON of Tiger Paws earned, and we are excited about such a positive start to the year! FREE ENGLISH and CITIZENSHIP CLASSES… College of Dupage is offering FREE English and Citizenship classes! Please see attached flyer for more information!